February 27, 2018 by Laurie Leave a Comment This post may contain affiliate links, which means if you click on a link and purchase something, I may earn a small commission (at no additional cost to you.) See my disclosure policy HERE. Ready for a new 25 day series? This 25 Days Series is aimed at inspiring you to tackle your family budget, with amazing budget transformation stories and helpful tips to keep you on track. I love the stories we're sharing here! 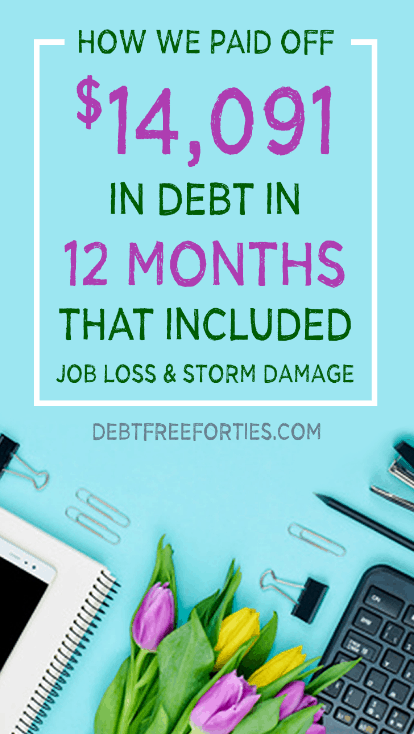 Head over to Debt Free Forties to learn how one couple paid off $14,000 in 12 months while dealing with job loss and storm damage!